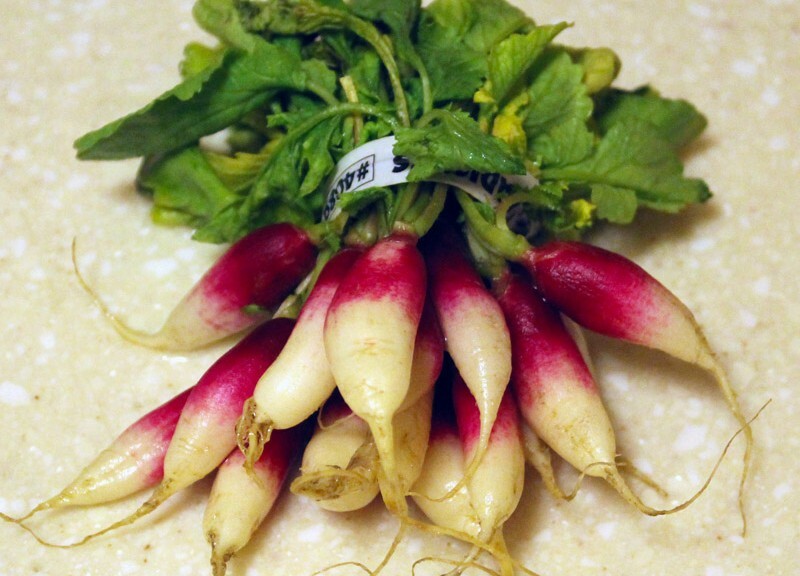 We’ve seen radishes before, but what are French breakfast radishes? They are smaller and more elongated than the familiar variety. Apparently they are also milder as well. 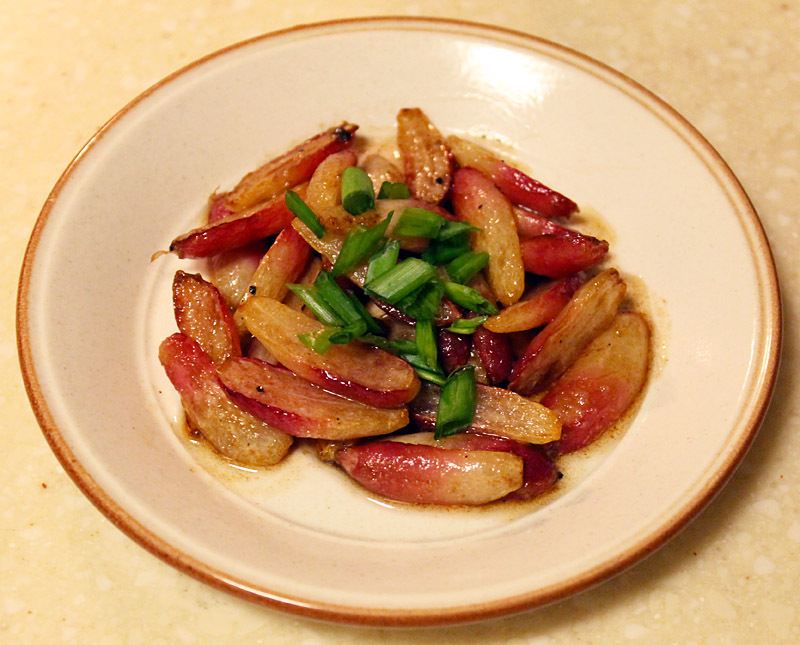 We decided to try them sautéed them in butter, inspired by this recipe. 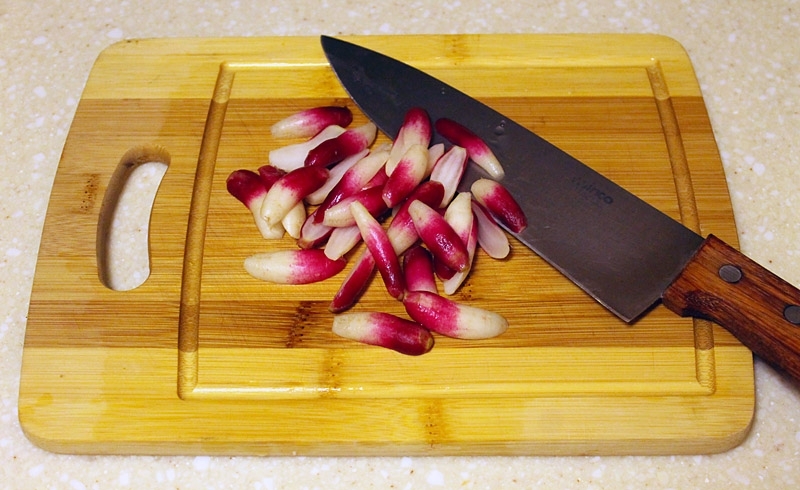 We trimmed off the greens and the root, and sliced them in half lengthwise. 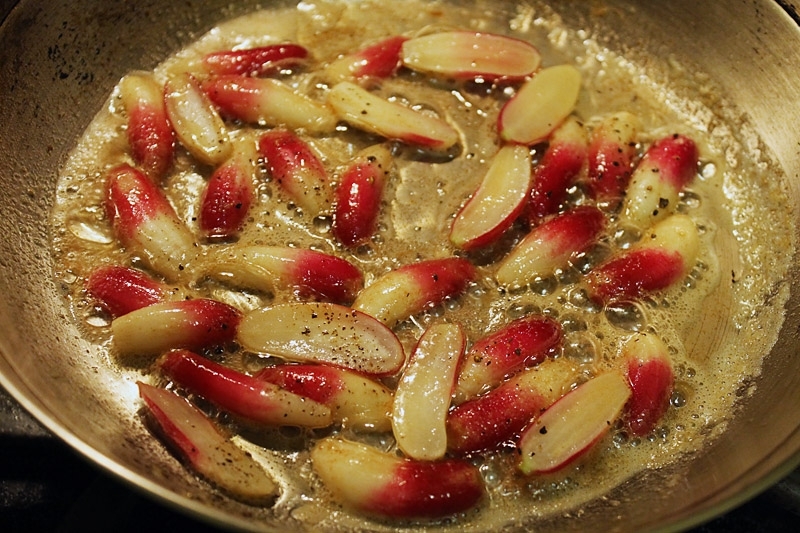 Then we heated butter in a pan and added the radishes when the butter started to foam. We added salt and pepper, and sautéed them until they started to brown and become translucent. They tasted quite good with butter and had a very mild flavor. Too bad we didn’t have more! Leave us a comment if you’ve tried it or if you have a favorite recipe!